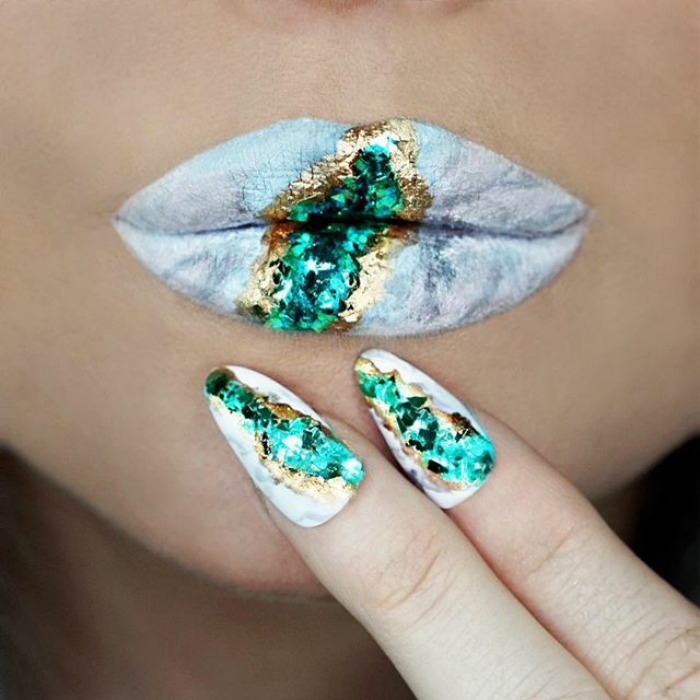 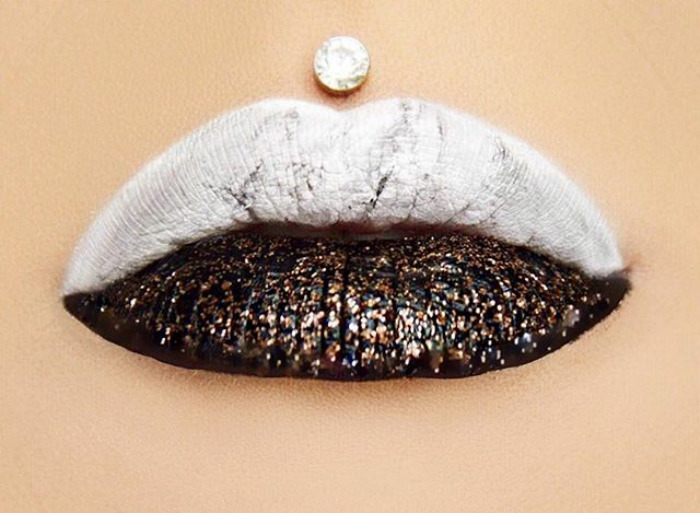 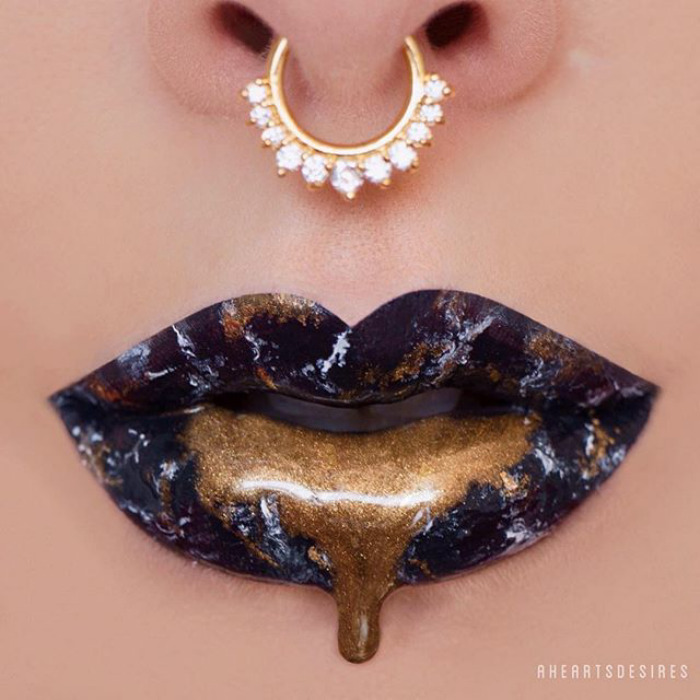 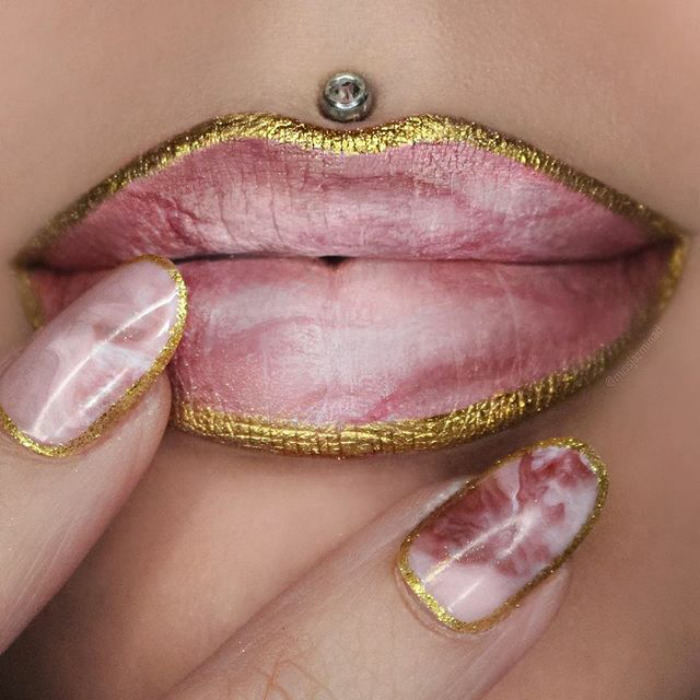 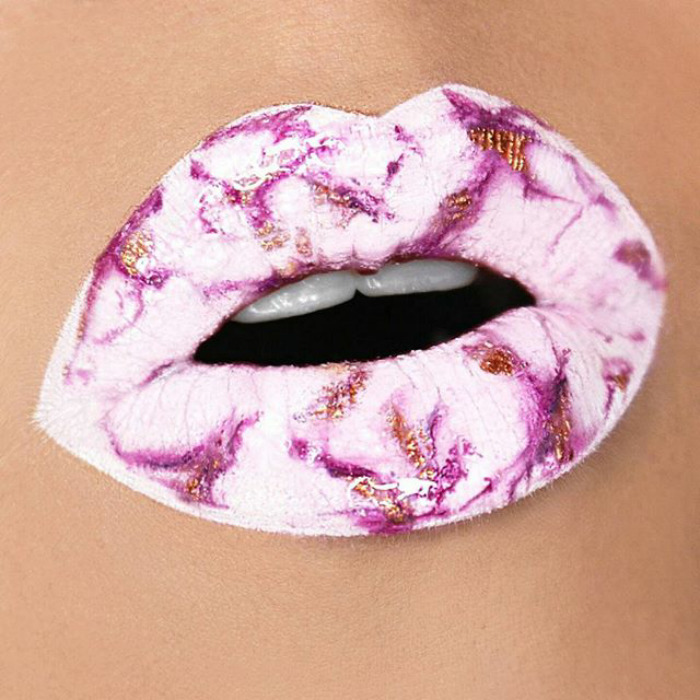 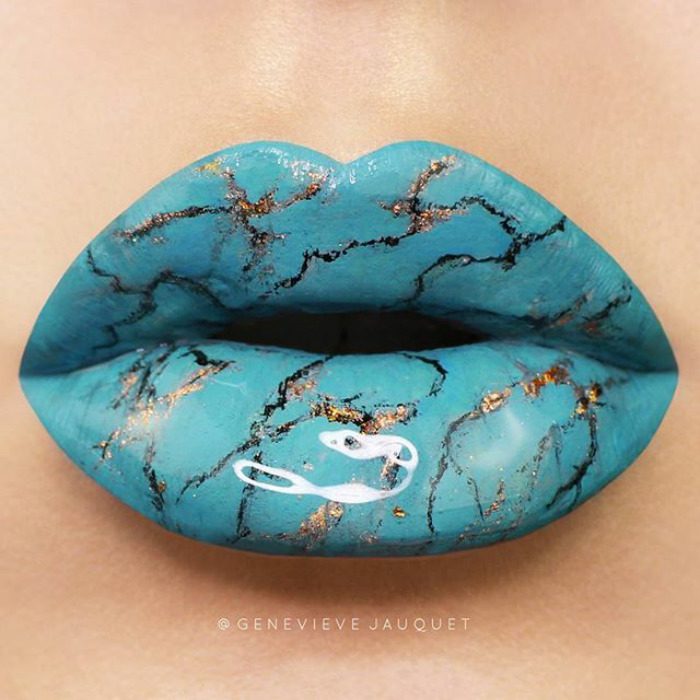 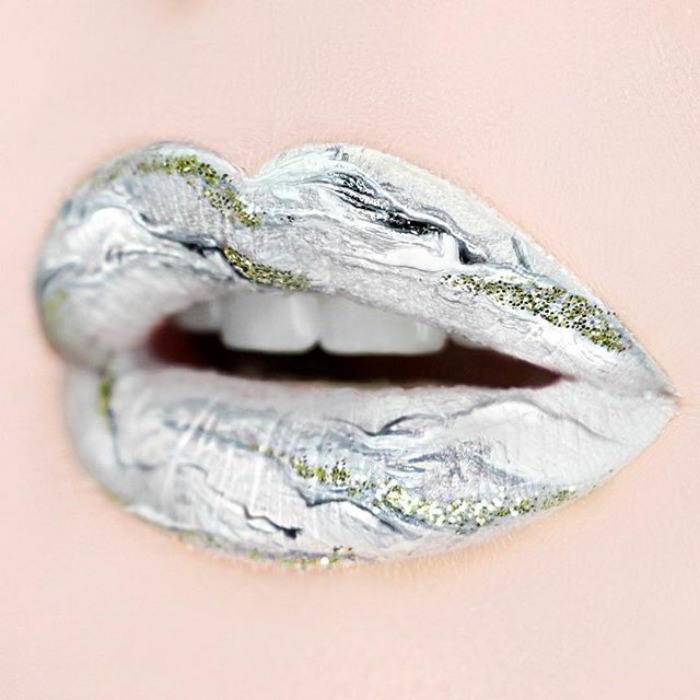 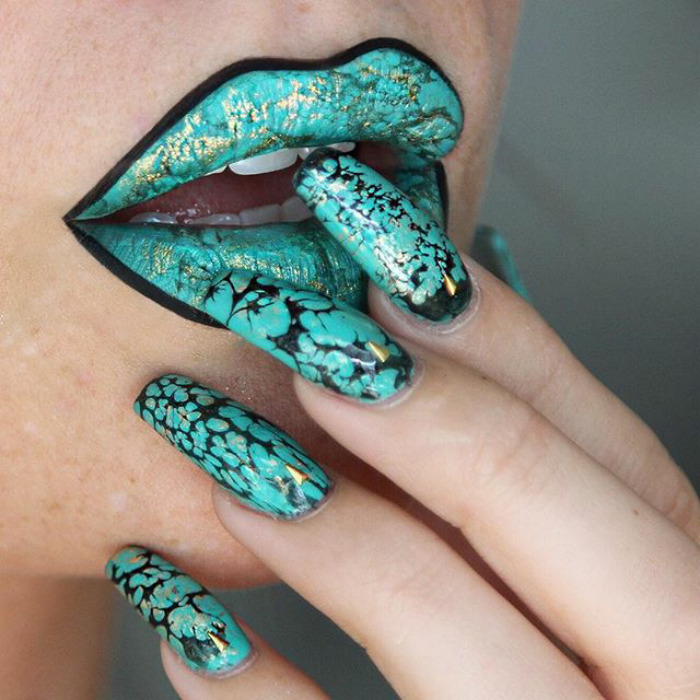 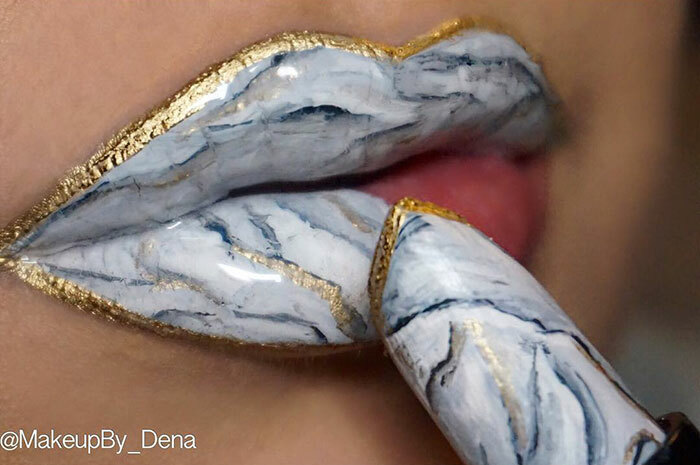 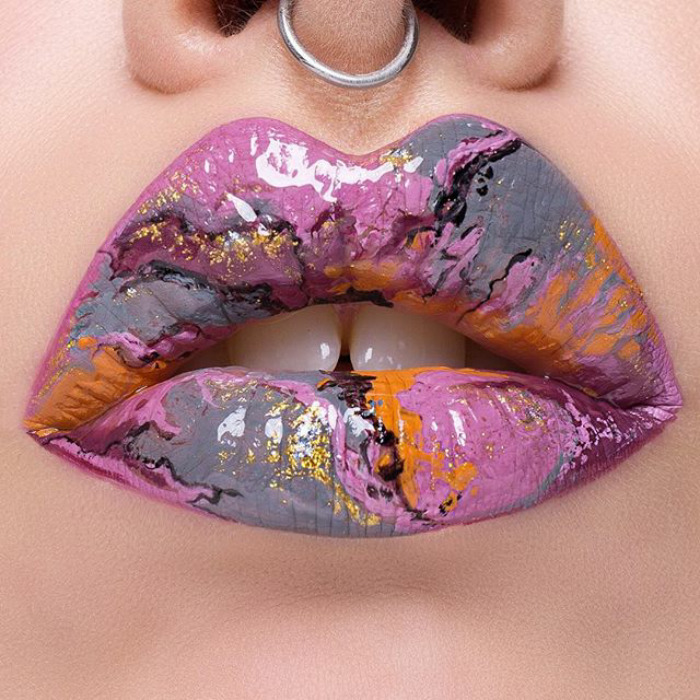 The new makeup trend is popping up all over Instagram with tons of different makeup artists marbling on their pout. 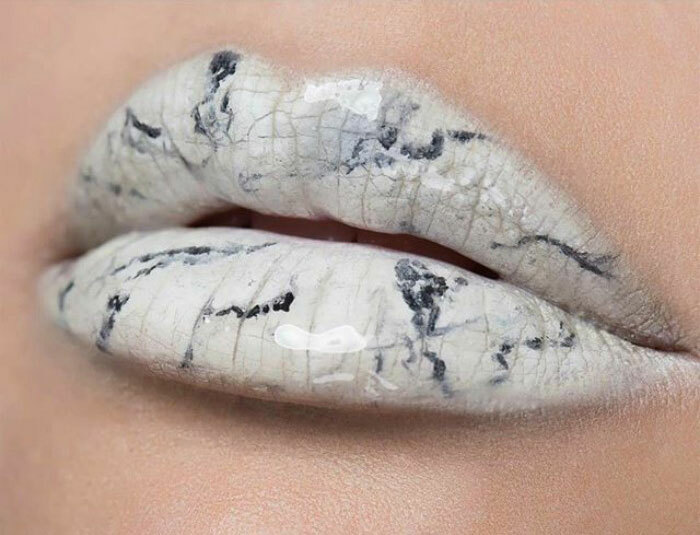 Some are making a basic white and gray marble effect, while others are taking it to the next level with colors like purple or blue. 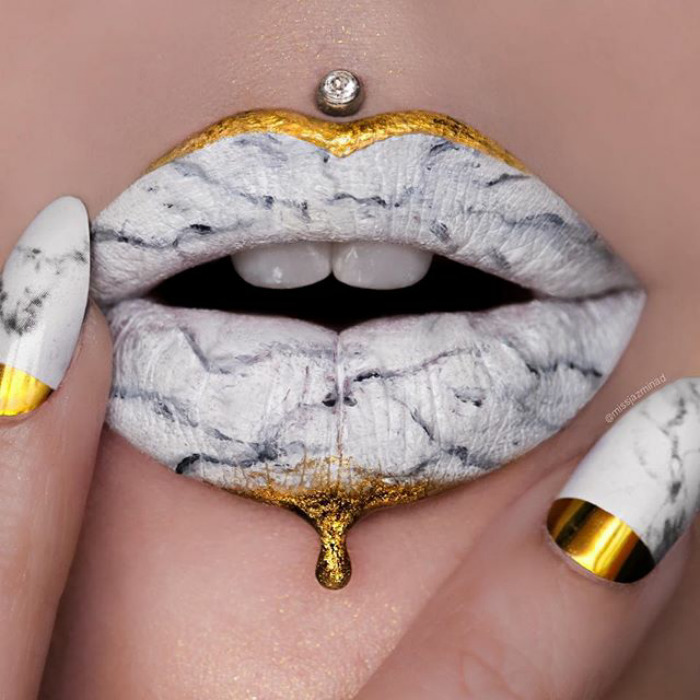 Mastering the marble look may seem difficult, but it’s actually pretty easy. 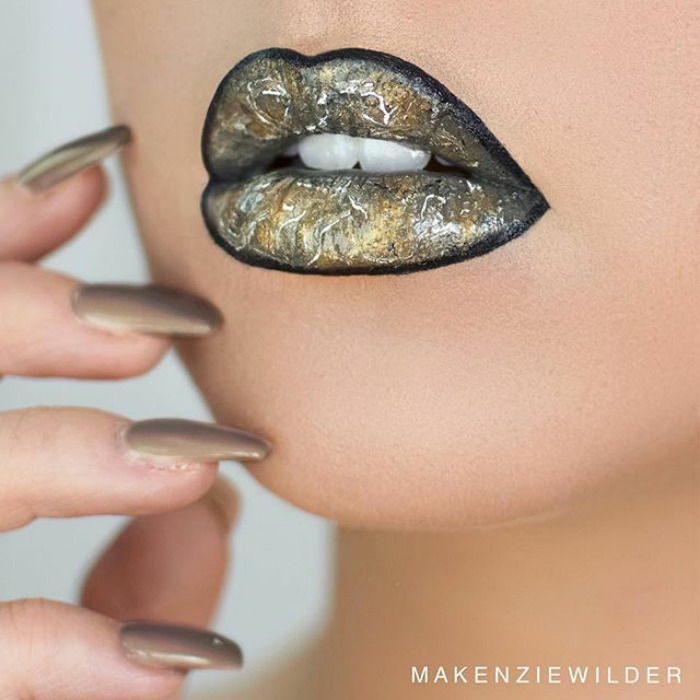 All you have to do is cover your lips with a base of your chosen color, then apply random strokes of different colors with a fine brush – as Suuz Brouwer showed us in her tutorial below. 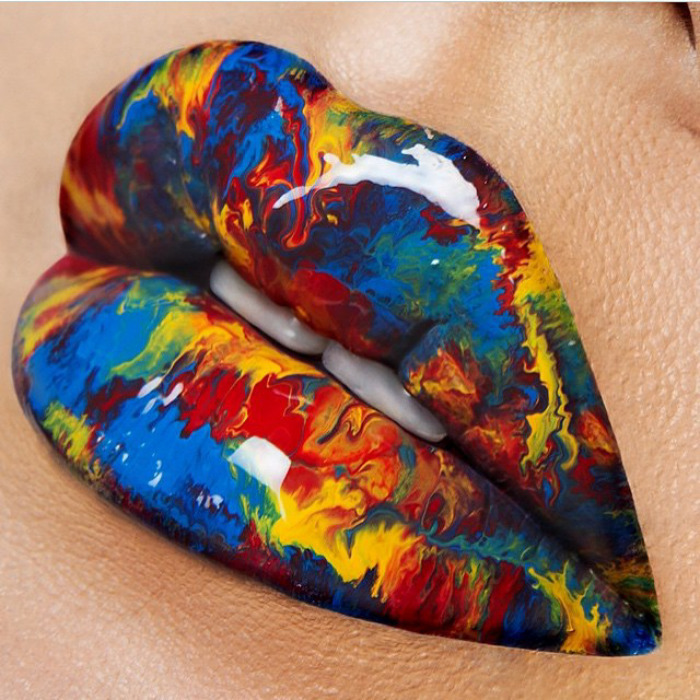 To get inspired check out the pics below and vote for your favorites!